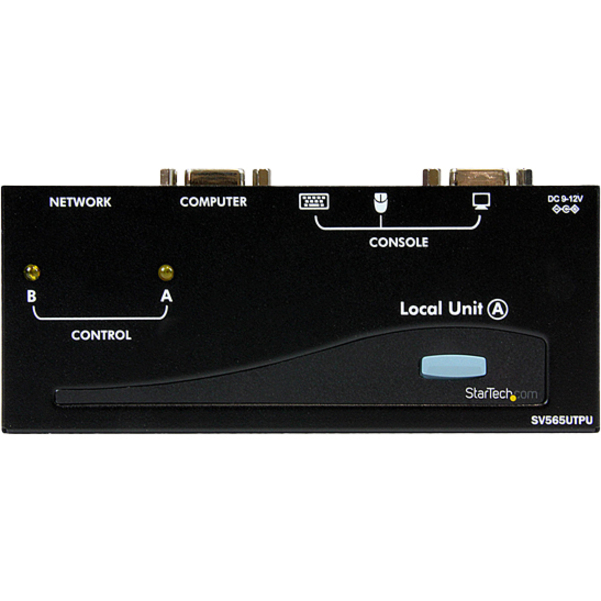 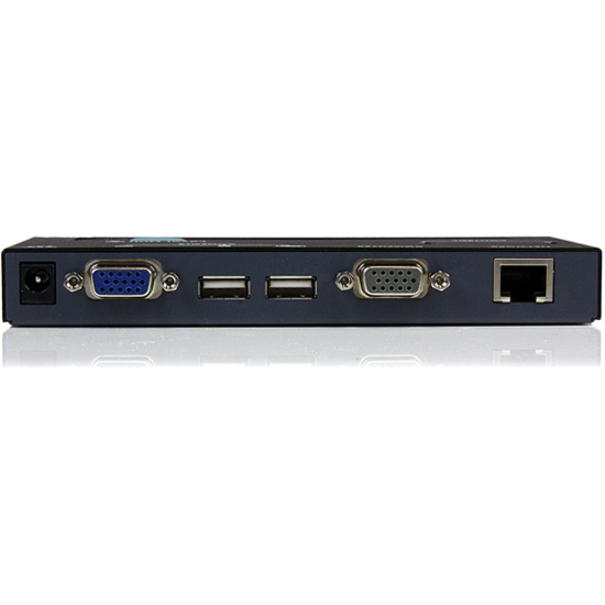 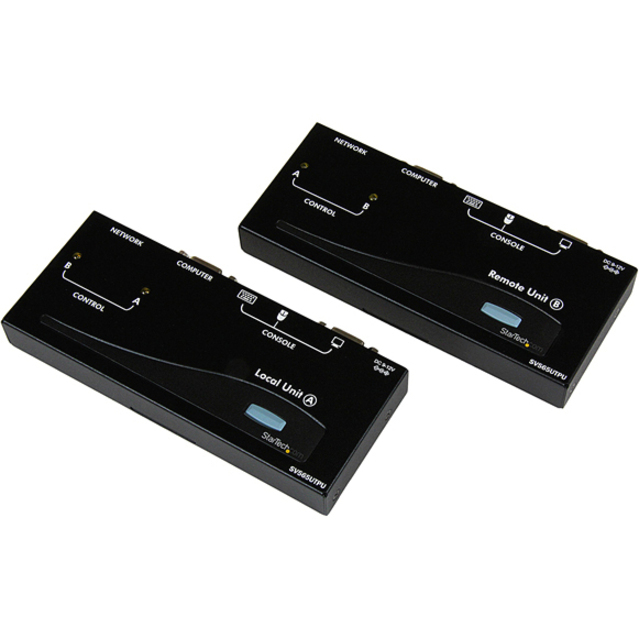 This USB VGA KVM Console Extender lets you control a server, computer or multiple computers (connected through KVM Switch) over a standard Cat5 or Cat6 UTP network cable connection, at distances of up to 500ft away. 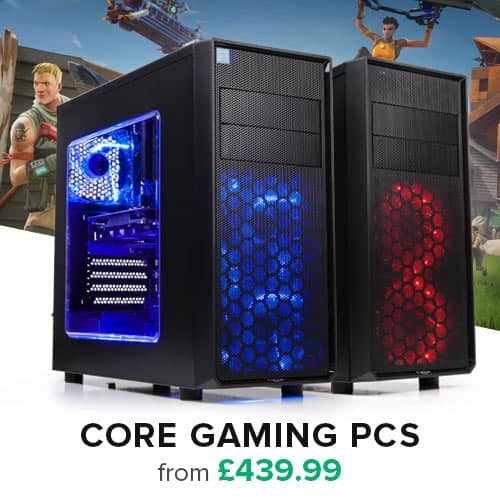 PC connection cables are included with this product for a ready out of the box solution. 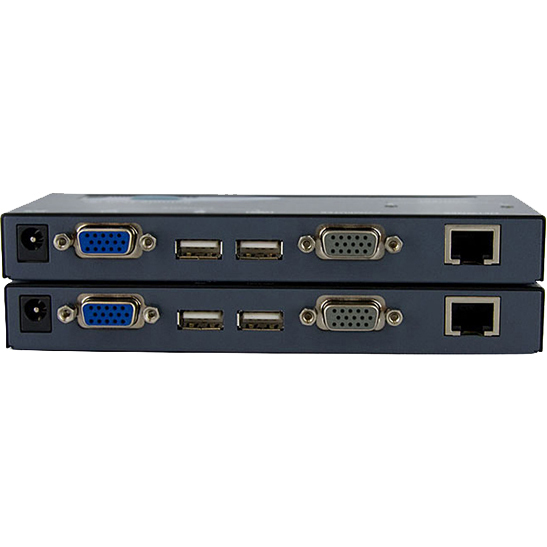 You can use your existing keyboard, mouse, and monitor to access both the server room and your office computer, saving space and avoiding the need for a dedicated remote console by allowing you to switch between workstation view and KVM view at the remote location. 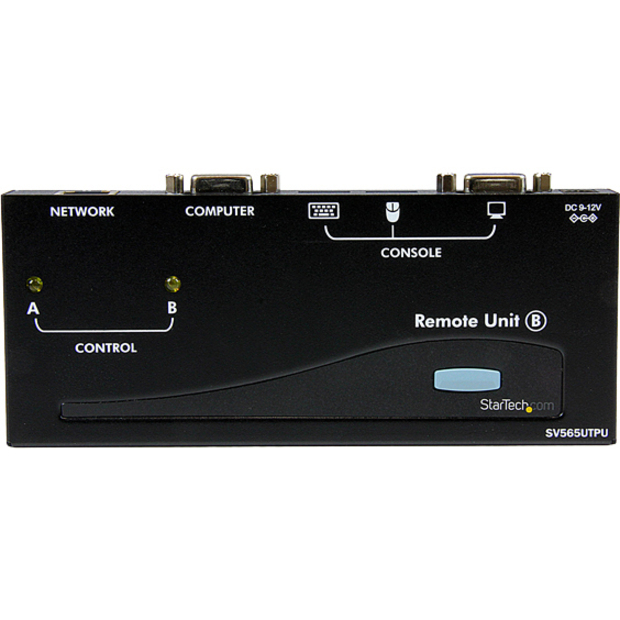 Designed to provide long lasting, reliable operation, the USB VGA Console Extender is backed by StarTech.com's 2-year warranty.